The indices of Boursa Kuwait closed Sunday’s session with a mixed performance, as the All-Share and Premier markets added 0.07% and 0.13%, respectively, while the Main Market went down 0.06%. The financial services segment topped the gainers with 0.7%, while the oil and gas sector led the decliners with 3.21%. 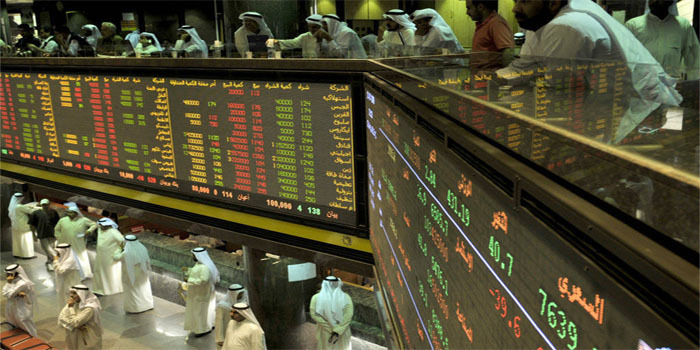 Boursa Kuwait’s turnover decreased by 83.4% to KWD 32.12 million on Sunday from KWD 195.46 million in the previous session after the trading volume shrank by 66.5% to 161.89 million shares from 482.97 million. GBK was the most active stock on which 23.78 million shares were traded at a value of KWD 7.01 million, the stock added 1.02%. Tijara and Real Estate was the top winner with a rise of 8.26%, while Alrai Media led the losers with 16.8%.